Illustrations: 20 b/w photographs, 5 maps. 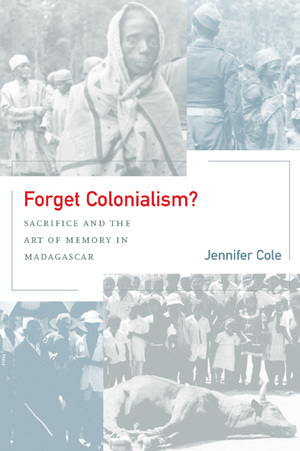 While doing fieldwork in a village in east Madagascar that had suffered both heavy settler colonialism and a bloody anticolonial rebellion, Jennifer Cole found herself confronted by a puzzle. People in the area had lived through almost a century of intrusive French colonial rule, but they appeared to have forgotten the colonial period in their daily lives. Then, during democratic elections in 1992–93, the terrifying memories came flooding back. Cole asks, How do once-colonized peoples remember the colonial period? Drawing on a fine-grained ethnography of the social practices of remembering and forgetting in one community, she develops a practice-based approach to social memory. Jennifer Cole is a cultural anthropologist and member of the Committee on Human Development at the University of Chicago.